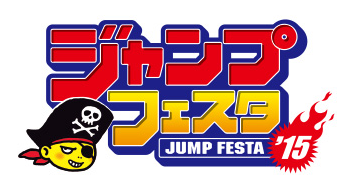 Jump Festa '15 is the latest in Shounen Jump's annual series of manga and gaming conventions, scheduled to be held at Makuhari Messe on Saturday 20th and Sunday 21st December 2014. Naturally, there's often a Capcom booth at the event to promote their newest games. The official Sengoku Basara news portal suddenly updated this morning to announce that there will be a Sengoku Basara 4 presentation at the Capcom booth this year as well! Last year's Jump Festa event revealed a lot of new information about the then-unreleased Sengoku Basara 4. So what can we expect this time? Right now, not much is known. Capcom's Jump Festa '15 microsite contains the same information as the news portal, reporting that attendees will be able to play Sengoku Basara 4 on stage to try to win prizes. Series producer Kobayashi 'KobaP' Hiroyuki will also be making announcements relating to February's Basara Matsuri event - and more. The Sengoku Basara 4 stage events will be held between 13:40 and 14:10 (Japan time) on both days of Jump Festa '15. It's a short timeslot so there's a chance all they'll be doing is promoting Sengoku Basara 4 and announcing the next batch of guests for Basara Matsuri, but it's also possible there'll be more information closer to the time. The Butai Sengoku Basara 4 stage play will finish its run two weeks before the event takes place so it will be the perfect opportunity to begin dropping hints about the next big project. Fingers crossed for a new game announcement, either a handheld title or the SB4 expansion. But probably not!